Go Back to the Homepage / chom tong cotton • loy kratong / Celebration! 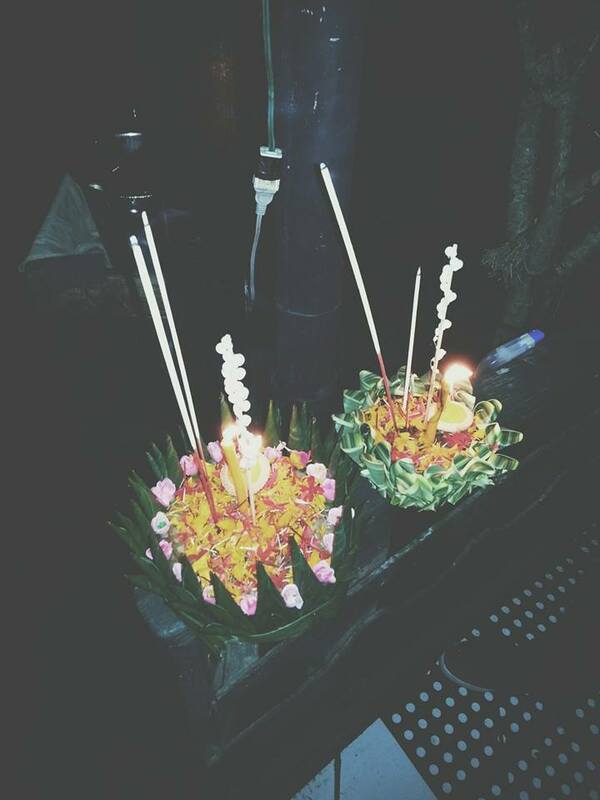 Last Thursday was Loy kratong, which is one of my favourite Thai celebrations. You can read more about it here, but basically you float kratongs down the river and release khom loy into the air. It is truly beautiful to see. I didn’t take any pictures (which was rather neglectful of me) so I have shamelessly stolen some from my friend (but I’m sure she won’t mind). 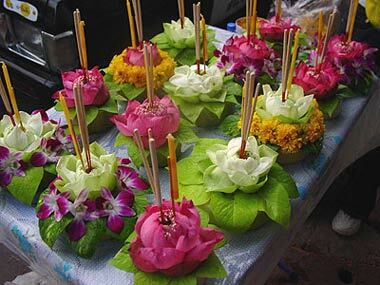 These are kratongs which are all handmade from natural materials. 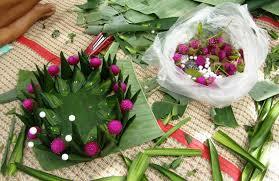 These are from google images but show how the kratongs are made (above) and some other kratongs below. 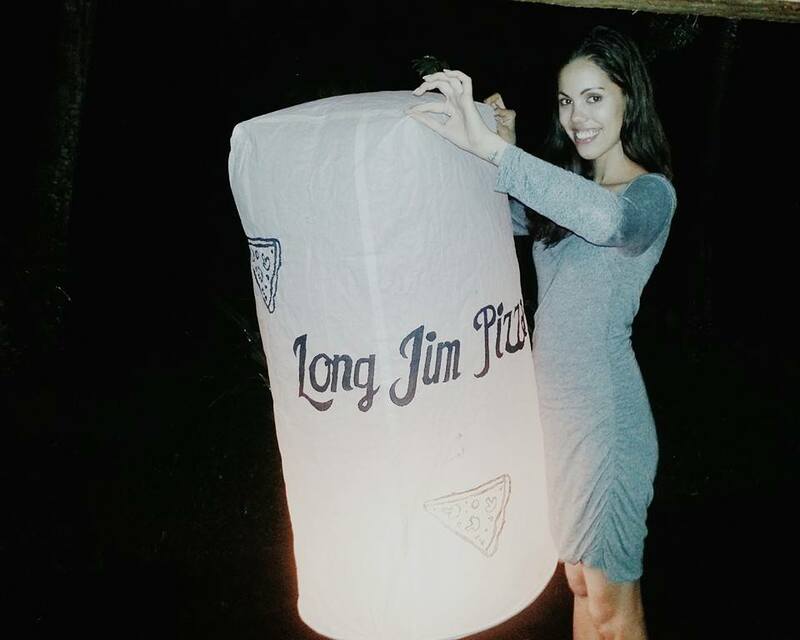 This is my fabulous friend, Jantra, about to launch a khom loy, which is basically a large paper lantern. 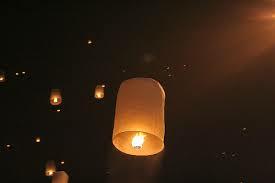 Another google image, khom loys being floating in the night sky. I decided on Thursday morning to make myself something new to wear, which obviously I probably should have thought about a bit sooner, so it needed to be a fairly quick make. I wanted it to be fun, cool and comfortable, and bike friendly. 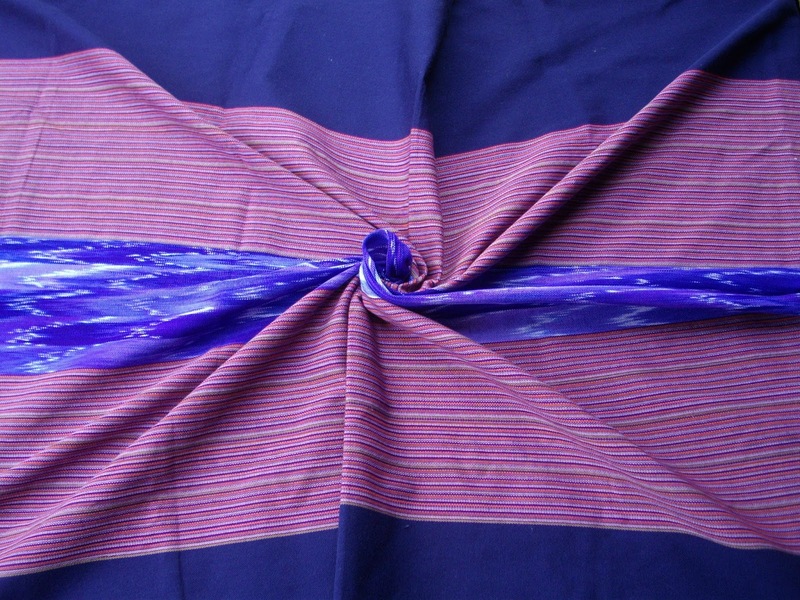 Because of the nature of the celebration, one of the many gorgeous Thai fabrics I have seemed appropriate. So I chose this Chom Tong cotton. This is not the lightest weight fabric (190 g/m or 5.5oz/yd) but we are heading into cool season here and the Loy Kratong celebrations are at night, so it would be fine. Although it also doesn’t really drape. I’m hoping that the simple shape and bright (obnoxious?) colours will make up for it. 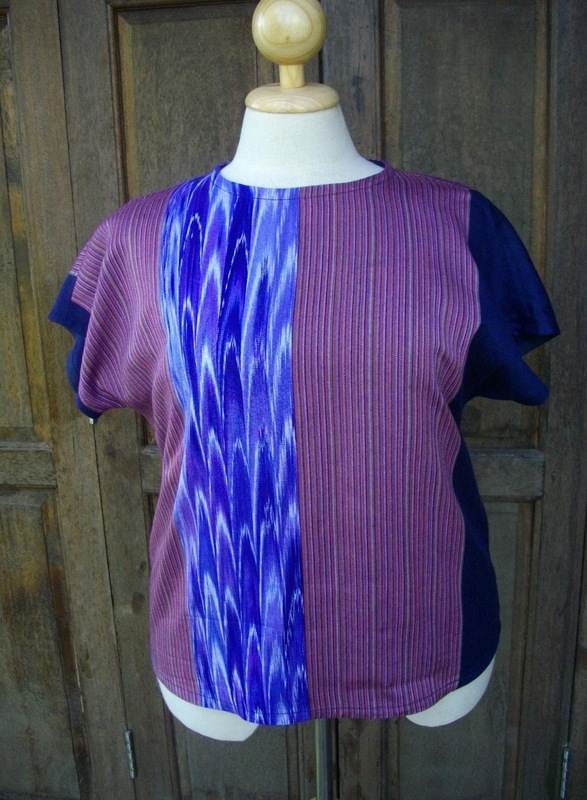 I was going to use M6566 because if you are using fabric like that a simple pattern is all you need. 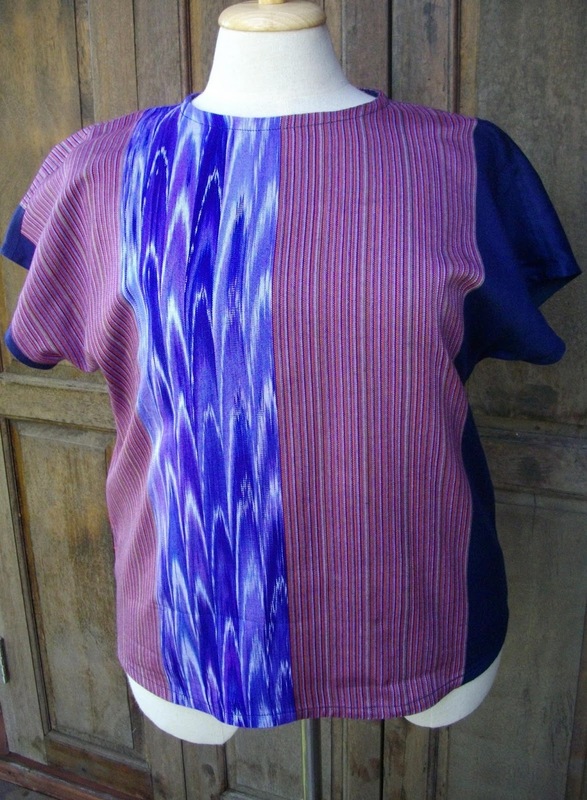 I knew that the first version had some neckline issues among others so I was all prepared to make some adjustments. 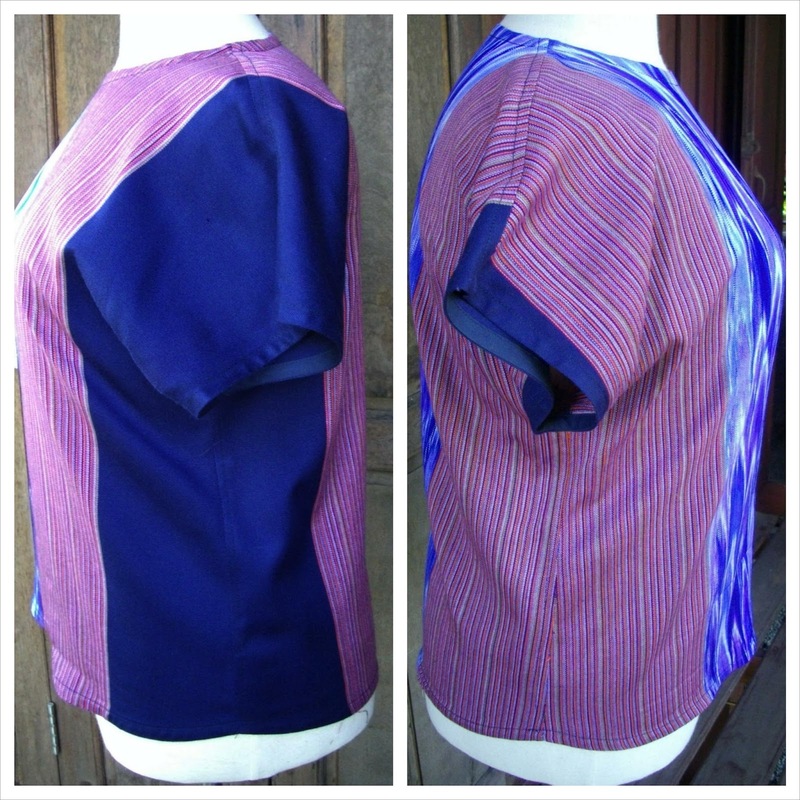 And then I remembered that I had always planned to use the bodice of my Going Global Thai dress as a blouse pattern because I really like the fit. So I used that but without the buttons so the front is cut on the fold. As is the back, even though the original has a centre back seam. I also knew that I didn’t want the wide purple and white stripe to run down the centre front (or heaven forbid, around me). So this is what I came up with. And it is fun, cool and comfortable, and bike friendly. No, the stripes don’t match on both shoulders. Because there is more fabric in the front than the back they can’t both match. I wore it with jeans but I know it is going to get a lot of use with shorts to bike around town running errands. I’ll be back with some photos of it on me soon. The camera batteries just died and I had just changed especially to take pics:( Oh, and I’ll be wearing it with my Style Arc Flo shorts. Which are excellent by the way. More on that in the next day or so. Would you ever use a fabric like this or is it just too much?